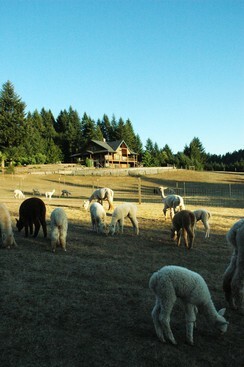 North Plains Alpacas is an alpaca farm located in North Plains, Oregon owned by Tim and Eldonna Graber. We live today in a country that still represents freedom and opportunity. Even with the many different opinions, many different beliefs, many different backgrounds…we all want the same thing…success! Whether it is in our careers, or our families, or in little things or big…success is what motivates us. Our success has been our family! Having said all of that, we are Tim and Eldonna Graber. And our story begins like everyone else’s. One of us discovered alpacas (that would be Tim), and the other (that would be Eldonna) went right along with it, not realizing that EVERYTHING was about to change. “For the worse?” one might ask. “No, not really,” we’d answer. But change it is. Livestock means that those family outings, camping, beach trips, lazy Saturdays (lazy days period) were gone! But in the place of that, we have joined together as a family!! North Plains Alpacas understands that the alpaca industry MUST grow and improve. Not only in number, but in knowledge as well. It is vastly important to learn how to improve upon the strengths of production females by breeding to superior quality males. 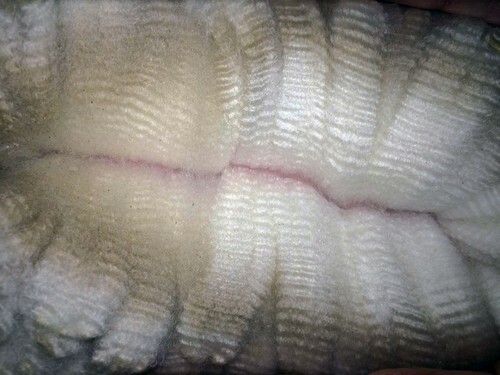 Conformation and fiber characteristics can and should improve with each generation in order to continually produce sound, healthy, and productive alpacas. We strive for lingering fineness in our herd. With a herd that varies from 160-200 head count we have achieved over 4 pages on our histograms of 20 microns and under. North Plains Alpacas‚ foundation females and their offspring are continually bred for more improvement. North Plains Alpacas would like to give everyone an opportunity to share in this wonderful lifestyle according to their financial ability. Whether your desire is to start out with a pair of bred females, or an entire herd, we will tailor a package to meet your needs. As a family in the business, we understand that a family‚s decision to invest in alpacas does not come easily. We are very serious about our breeding program and offer quality alpacas in a variety of price ranges to provide a wealth of purchase options for interested buyers. We offer production females who have been wisely bred to produce strong conformation and an elite fleece, maiden females, young potential herdsires, fiber/pet quality animals, and breedings to our exceptional huacaya studs. Additionally, we offer excellent customer support, before, during, and after the sale. We will serve you with the utmost honesty and integrity which we value as breeders. We will help you to determine exactly what it is that you are looking for in an alpaca, what your goals are for your breeding program. We understand that this can be a tough decision, one not to take lightly. We want to make sure that your alpaca adventure is rewarding and exciting from the very beginning, and that all your alpaca dreams come true.